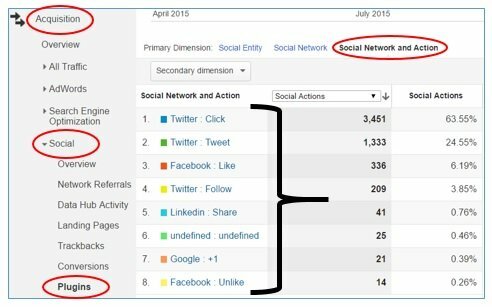 What is Social Interactions in Google Analytics? 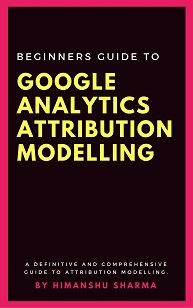 Social Interaction analytics is the measurement of the social interactions in Google Analytics. These social interactions are measured by tracking the number of times a user click on social sharing buttons embedded on a web page. socialNetwork – the social network on which the interaction occurred. socialAction – the type of social interaction that occurred. socialTarget – URL of the web page where the social interaction occurred. The value of social target is usually a URL but it can also be any string. #1 Basic understanding of the development environment of your social plugin. #2 The social plugin (like Facebook Like Button, Twitter Tweet button) you use on your website must provide a callback function. It is the callback function which provides the social interaction data. For example in case of Facebook, FB.Event.subscribe() is the function which captures and send Facebook social interactions data (likes and unlikes). A website can use one or more social sharing plugins. For example I use the official Plugins provided by Facebook, Twitter and Google. But I also use social sharing plugin provided by ‘Sumome’. If you want to track Facebook ‘likes’ via other social sharing plugins like: Shareaholic, Disqus, Sumome etc then you first need to find their call back function and understand how to use them. Just because you can track Facebook ‘likes’ from the official Facebook ‘Like’ button, doesn’t mean that you can automatically track Facebook ‘likes’ from all other social sharing plugins. It doesn’t work that way. Note: You can also track social interactions without using callback functions via event tracking in GA or via auto event tracking in Google Tag Manager but then your tracking will no longer be consistent with the framework designed for Social Interactions Tracking. You can track only those social actions for which you have installed the right social plugin on your website. For e.g. if you want to track Facebook ‘send’ event then you first need to install Facebook ‘send’ button on your website. If you want to track Facebook ‘comment’ then you first need to install Facebook ‘comment’ plugin on your website. Similarly you need to install twitter follow button before you can track twitter follows in Google Analytics or Google + button, before you can install Google +1 in Google Analytics. Through Social Interaction tracking you can track only those social shares which occurred on your website via the plugin you are tracking. You can not track social shares across the internet. If your blog post is tweeted 100 times via twitter button on your website and then later re-tweeted 400 times, then Google Analytics will count and report only 100 tweets in your Social Plugin report. This is because only 100 tweets occurred on your website via the social sharing plugin you are tracking. The other 400 tweets occurred away from the website.